I came across a lady named Premlata since few months & tried interacting via FB . Frankly speaking I found here really down-to-earth, kind & soft-spoken. (I know it is really strange to guess one’s nature quickly in this virtual world). She is just like a normal working woman but the best part is she follows her passion too. Doing the daily chores & job makes us really tiring as we work round the clock. 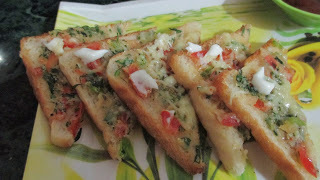 Prema unlike others chose to follow her cooking passion & start up a blog for her simple recipes. The best part is that she shares almost each scenario with the recipes, this makes the reader/visitor on the website familiar with her very well. Let me first of all thank you Yogita for giving me the opportunity to pen down my journey in this adventure trip of blogging! Myself Premlata Rajesh. My friends and colleagues call me Prema. I am a fun loving person and enjoy every moment of life! Residing with my family in Pune, Maharashtra. 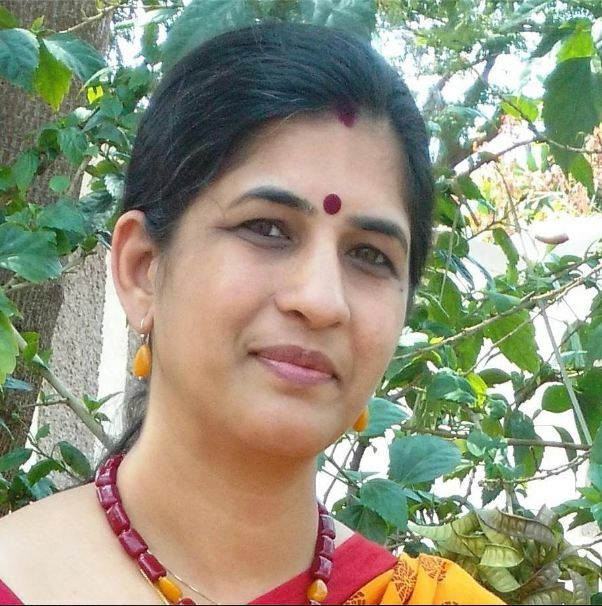 A working professional, wife to a loving husband and mother of 2 kids a college going boy and a school going girl, I manage my home and office responsibilities with lot of dedication and enthusiasm. I have been working for almost 25 years now. I started working after my 12th Standard final exams and currently work with Indus Software Technologies Pvt. Ltd. as Manager- Administration. After my schooling, I did not have anyone to guide me as to which stream should be taken during admission to a particular college. Finally opted for Commerce Stream. There was a subject related to food which was conducted at Food Craft Institute (FCI) (which was optional and I had planned to take that up as it was a subject close to my heart) in junior college. My bad luck, that year this subject was dropped from the syllabus and my dream of experimenting with food went down the drain! I enjoyed cooking since childhood. My father is a good cook and I remember, we named a dish and he used to make them at home for us. I guess, I have picked up this passion from him. As they say daughters are dad’s favorite. 3 years ago, I was surfing internet for cooking classes and found a link, had an enquiry & took admission for a month’s course from SICC. Initially attended my office half day and the cooking class post lunch. It was a very hectic month for me. This course definitely helped me to sharpen my culinary skills and have been enjoying every moment of this journey creating new and instant dishes for family and friends. Initial days, after the course completion I made different types of new dishes. I would click pictures of all of them for records. My husband, Rajesh also gifted me a Camera for clicking pictures. I always dreamt of doing something on my own and discussed this with family and friends. My friend’s Sandhya Mantha & Shashikant Shinde also played a great role in this journey as they gave their honest feedback and have always motivated me to follow my passion. Blogging was something I just started to overcome the boredom when I took a 2 month break for being with my son during his 12th standard exams. 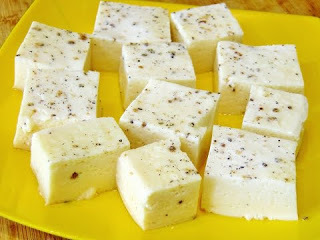 The pictures that I used to click for records helped me to describe the recipe. Today I write 2 to 3 blogs in a week. This helps me following my passion. The act of creating recipes, photographing them and writing for my blog is a joyful thing – creating new work makes me really happy. And I love hearing from readers who have made my recipes for their families and friends.The thought of people reading my blog and then cooking/eating food is incredibly heart-warming :). I get lot of appreciation for my work. This keeps me motivating!! I also conduct cooking classes for few friends in my society. I believe that writing down your dreams will ultimately help you achieve your goal. My dream is to start a Restaurant and serve quality & delicious food and be a successful Restaurateur! Lastly would like to thank the Almighty for all the blessings he has showered on me and for all the good things blogging has brought into my life. My message to all the readers would be: “Live your life to the fullest, if you have a dream ensure that you fulfill your dream. Get some time from the busy schedules and do things that you like and give some time to yourself! 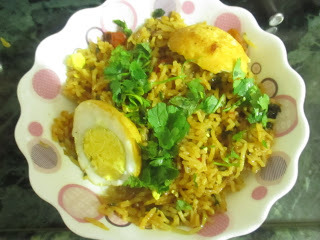 Do visit my blog for quick and simple recipes. Do share this link with your friends and family. Pic Courtesy – Her amazing blogsite. Do check it guys! !